This was an odd little hour. It’s almost entirely on location, filmed in summer but pretending to be the chilly high mountain elevations with patches of fake snow on the ground and the actors dressed in jackets and parkas. Apparently, Steve’s alien buddies have gone home but left the sasquatch behind for a very lengthy regeneration process that will remove all of his bionic circuitry and eventually leave him a simple Earth animal again. But this gets interrupted by some humans, some of whom, like a character played by Geoffrey Lewis, are up to no good. This leaves Bigfoot maddened and confused, and Steve only has a short time to return his old sparring partner to hibernation before he short-circuits and dies. 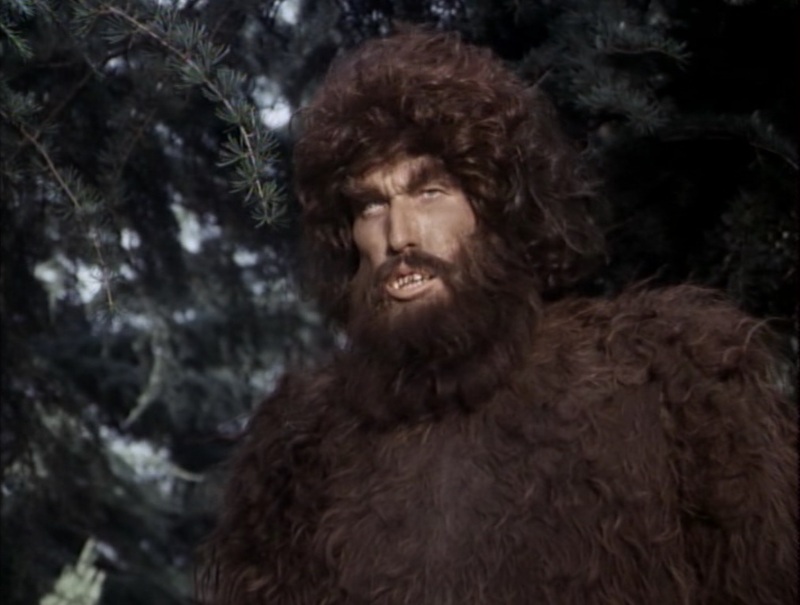 Ted Cassidy’s back as Bigfoot in this one, which would prove to be the last outing for the character. I think the producers must have realized that there’s not a lot you can do with this character without the secret space aliens, and everything you can do with him gets done in this episode. It’s perfectly entertaining, and pleased our son greatly. He said that the first part was very surprising, and then it gets very exciting, and it finished up both surprising and exciting.